and even suppresses carcinogenic developments through its anti-neoplastic activity. In many countries in Asia, Africa and Middle East black seed oil, also known as black caraway oil or black sesame oil, has been traditionally used by various cultures as a natural remedy for a wide range of diseases, including different allergies . Interestingly that the seeds of Nigella sativa from Ranunculaceae family, commonly known as black seed or black cumin, have been used in folk (herbal) medicine all over the world for centuries [3, 6], are now being a subject of various research activities which have proven its effectiveness for the treatment and prevention of a number of diseases, including different allergies like allergic rhinitis, bronchial asthma, atopic eczema. Why is Black (Cumin) Seed Oil so effective? 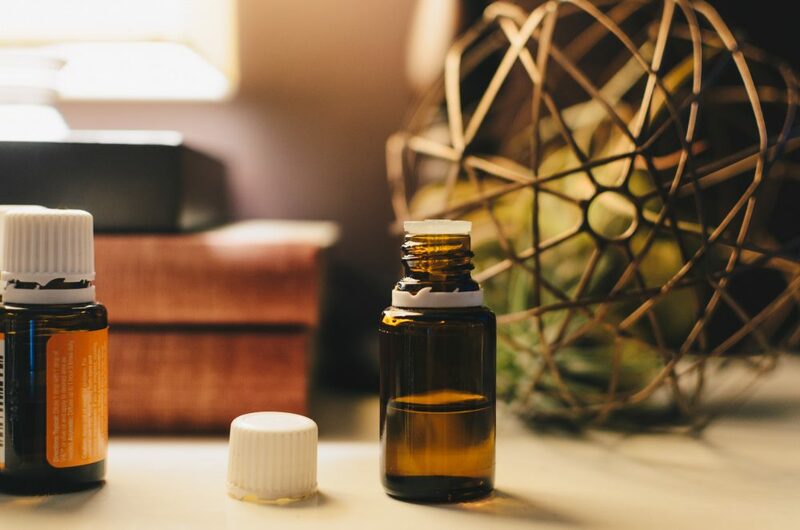 Although there have been many scientific studies undertaken with marvelous positive results, the exact action mechanism of black seed oil is yet to be discovered. The scientists are cautious with a definitive answer on which black seed oil components play a major role in curing the diseases. For instance, some tests have revealed that the substances like the opioid receptors were neutralized by the opioid antagonist, hence the curing analgesic effect should be in something else. It is therefore believed that Thymoquinone, one of the major black seed oil components, has an important role in these pharmacological effects . The black seed oil has anti-inflammatory, analgesic, antipyretic, antimicrobial and anti-neoplastic activity. The oil decreases blood pressure and increases respiration. Treatment of rats with the seed extract for up to 12 weeks has been reported an increase in both the packed cell volume (PCV) and hemoglobin. Another randomized, double-blind, placebo-controlled trial demonstrated that black seed oil supplementation improves asthma control with a trend in pulmonary function improvement. This was associated with a remarkable normalization of blood eosinophilia . Finally, one more study on rats  proved once again that black seed oil exhibited a significant reduction in all the markers of allergic inflammation. Another characteristic of the black seed oil, that would be beneficial not only for health but also for beauty, is its antioxidant activity. Nowadays, it’s hard to find a skin care product that does not brag to have this effect. And even though, the study  revealed that rosemary extract had even higher antioxidant activity, the black seed oil has still proven its strong positive impact. Can Black Seed Oil cure or prevent cancer? The definitive answer would be – there is no 100% guarantee in anything. However, the antineoplastic activity of the black seed oil has been observed in various scientific studies. For example, in , it has been shown that Nigella sativa has the ability to inhibit colon carcinogenesis of rats, with no evident adverse side effects. Another research, now involving humans, revealed that the treatment of black seed extract and black seed oil significantly reduce the viability of human lung cancer cells . Is Black Seed Oil safe? The great news is that the seeds are characterized by a very low degree of toxicity and side effects. The study in  revealed two cases of contact dermatitis in two individuals following topical use. It also showed that black seed oil does not induce signiﬁcant adverse effects on liver or kidney functions. Another examination revealed no pathological changes in the liver, kidneys, spleen, or other organs of rats treated with the black seed oil . So taking black seed oil as a treatment or as a preventive measure would be a good idea to consider in order to boost your immune system. However, it is always recommended to consult your doctor before taking any new products. I must say the packaging of this black seed oil is the prettiest – a dark glass bottle with blue flowers in front would nicely fit a kitchen cabinet. This organic oil contains minimum 0.95% Thymoquinone (TQ). The recommended dosage is 1-2 teaspoons daily, with food or beverage. QUALITY: Cold-Pressed, Organic, Raw and Solvent Free. Imported from Turkey. 8 oz in a glass bottle. CUSTOMER REVIEWS: 1. Reduces arthritis symptoms. 2. Suppresses appetite. 3. Stimulates hair growth. 4. Best tasting black seed oil. An absolute best seller, this product has collected many reviews on the miraculous properties of the black seed oil. It is recommended to take ½ or 1 full teaspoon of the black seed oil with a meal or, following one customer’s creative approach, you can have a mixed drink made of tea with hot water, 1 tablespoon of black seed oil, honey, and cinnamon. This will also be helpful if you find the taste of the oil pungent. CUSTOMER REVIEWS: 1. Lowers blood sugar level. 2. Complimentary product for weight loss. 3. Great as hair loss treatment. 3. Decreases blood pressure. This 100% pure black seed oil helps the liver to detoxify your body, rejuvenate hair and protect skin. The perks are that if you are not satisfied with the results after 1 month taking the supplement, the company offers a full refund. QUALITY: Pure cold pressed black seed oil, 500mg easy to swallow softgel capsules. Produced in the USA. CUSTOMER REVIEWS: 1. Gives energy boost. 2. Cures joint inflammation. 3. Better sleep and overall health improvement. 4. Great as a supplement while on a weight loss diet. This oil is coming in liquid form, so it is advised to take 1 teaspoon with meals or to mix it with orange or cranberry juice, yogurt, smoothie or green tea with some honey. It also has a money back guarantee, so if you are not happy with the effects, you can contact the company and get a refund. QUALITY: USDA Certified Organic, cold-pressed, 100% pure black seed oil sourced from Israel. CUSTOMER REVIEWS: 1. Remarkable customer service. 2. Improves sleep. 3. Back pain relief. 4. Stronger nails and hair. 5. Helps with acne and smoothing skin out. This cold pressed pure black seed oil also comes in capsules, which is more suitable for people who are sensitive to its distinctive taste. It contains minimum 0.95% Thymoquinone (TQ) and is claimed to be burpless. The recommended dosage is 1-2 softgels twice daily (10 softgels are equivalent to 1 teaspoon of black seed oil). CUSTOMER REVIEWS: 1. Helps with constipation. 2. Reduces emphysema symptoms. 3. Improves the quality of sleep. 1. Kalus, U., Pruss, A., Bystron, J., Jurecka, M., Smekalova, A., Lichius, J. J. and Kiesewetter, H. (2003), Effect of Nigella sativa (black seed) on subjective feeling in patients with allergic diseases. Phytother. Res., 17: 1209–1214. doi:10.1002/ptr.1356. 4. Koshak, A., Wei, L., Koshak, E., Wali, S., Alamoudi, O., Demerdash, A., Qutub, M., Pushparaj, P. N., and Heinrich, M. (2017) Nigella sativa Supplementation Improves Asthma Control and Biomarkers: A Randomized, Double-Blind, Placebo-Controlled Trial. Phytother. Res., 31: 403–409. doi: 10.1002/ptr.5761. 5. Muhammad Shahzad, Xudong Yang, M.B. Raza Asim, Qingzhu Sun, Yan Han, Fujun Zhang, Yongxiao Cao, Shemin Lu, Black seed oil ameliorates allergic airway inflammation by inhibiting T-cell proliferation in rats, Pulmonary Pharmacology & Therapeutics, Volume 22, Issue 1, 2009, Pages 37-43, ISSN 1094-5539, https://doi.org/10.1016/j.pupt.2008.11.006. 6. Naciye Erkan, Guler Ayranci, Erol Ayranci, Antioxidant activities of rosemary (Rosmarinus Officinalis L.) extract, blackseed (Nigella sativa L.) essential oil, carnosic acid, rosmarinic acid and sesamol, Food Chemistry, Volume 110, Issue 1, 2008, Pages 76-82, ISSN 0308-8146, https://doi.org/10.1016/j.foodchem.2008.01.058. 7. Elsayed I Salim, Shoji Fukushima, Chemopreventive potential of volatile oil from black cumin (Nigella sativa L.) seeds against rat colon carcinogenesis, Nutr Cancer. 2003;45(2):195-202. PMID: 12881014. 8. Al-Sheddi ES1, Farshori NN, Al-Oqail MM, Musarrat J, Al-Khedhairy AA, Siddiqui MA, Cytotoxicity of Nigella sativa seed oil and extract against human lung cancer cell line, Asian Pac J Cancer Prev. 2014;15(2):983-7.